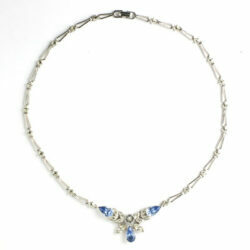 Sapphire, Diamanté & Sterling 1950s Necklace by Engel Bros. 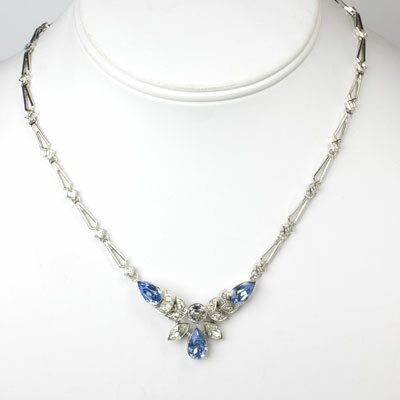 This 1950s necklace by Engel Bros. features a centerpiece of faceted, pear-shaped sapphire-glass stones along with round and navette diamanté. The setting is rhodium-plated, sterling silver. A square-cut faceted diamanté separates each link. This elegant and timeless necklace has a fold-over clasp.